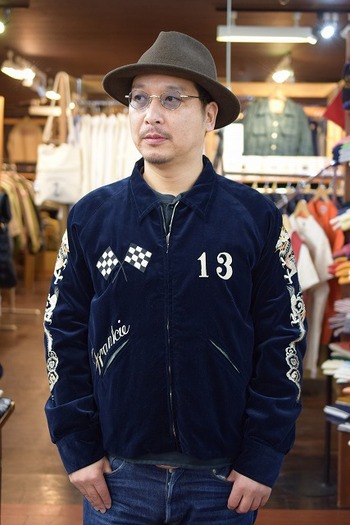 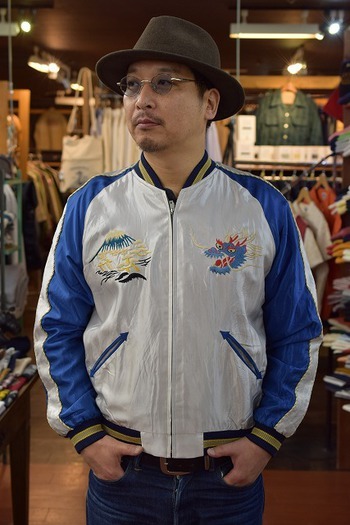 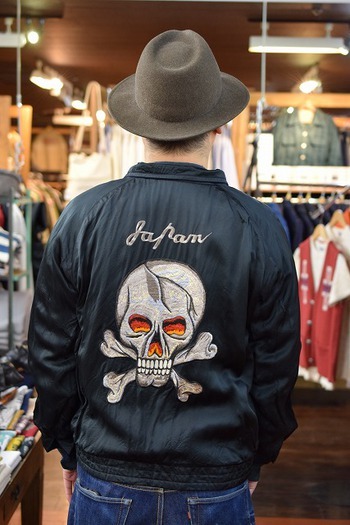 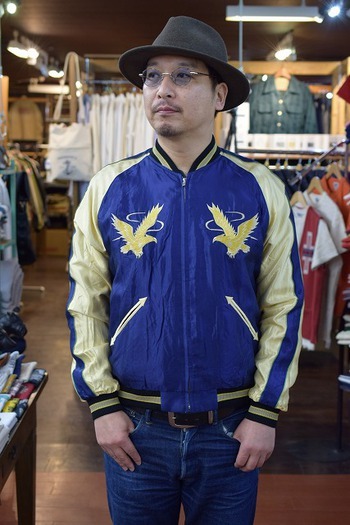 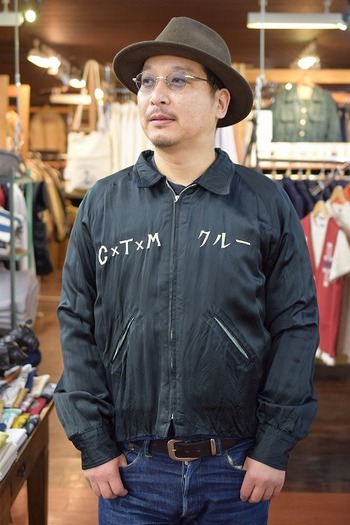 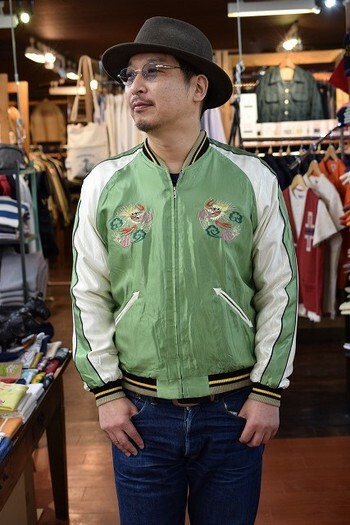 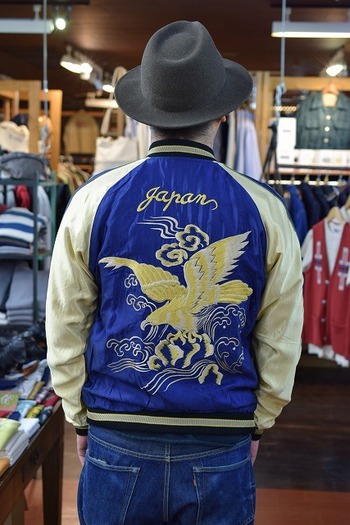 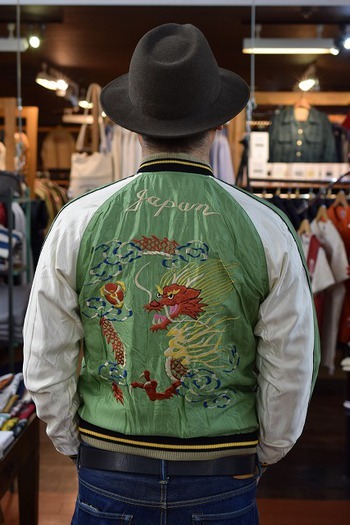 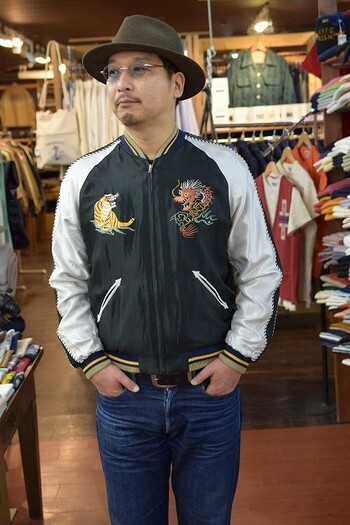 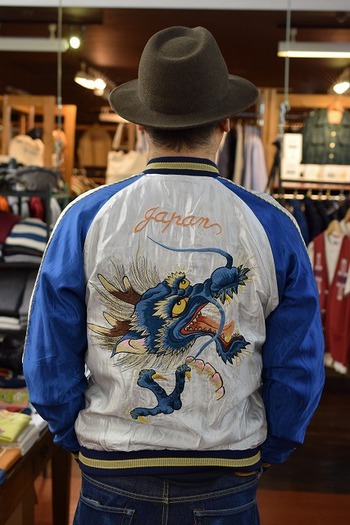 Let me introduce some reversible souvenir jackets from TOYO ENTERPRISE COMPANY. 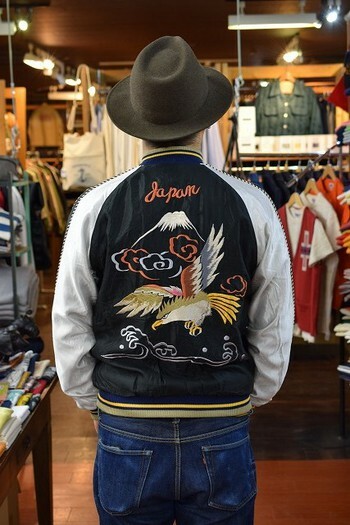 If you are a fun of souvenir jackets, you might know the next one. 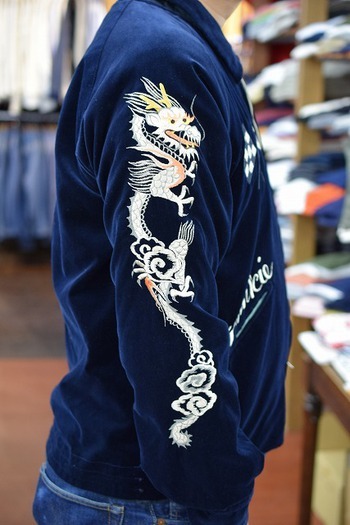 It’s made by a collaboration with Cool Tattooing Masato. 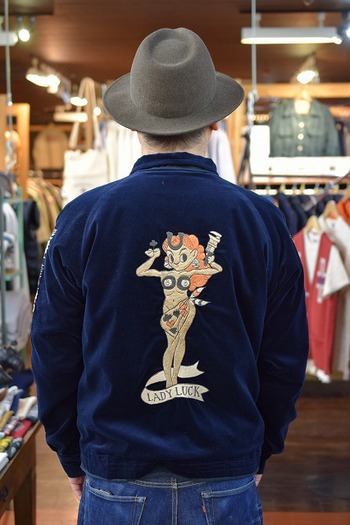 I would like you to put it on showing the velveteen side.